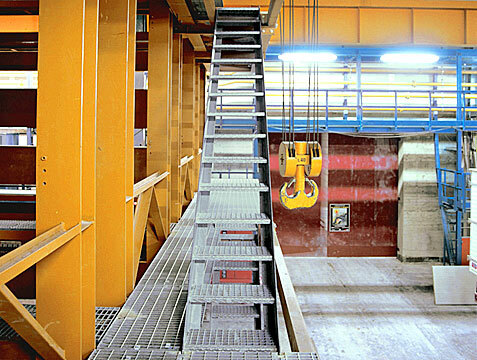 Gridiron's safe steps stairtread series, used for making ramps and stairways in both civilian and industrial situations, continues to be a resounding success. Even when the space available for these structures is particularly limited, Gridiron can offer custom sized stairtreads in different types of mesh depending on the sectors where they will be used. The type of grating ensures that these stairtreads are skid resistant and do not retain water, snow or soil. This product, fully hot-dip galvanised, needs no particular maintenance and is the ideal solution in any environment.